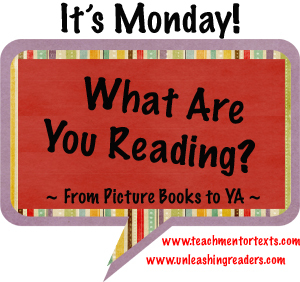 Thanks once again to my pals at Teach Mentor Texts and Unleashing Readers for hosting this each week. I love to check out what others are reading. If you stop by and comment, feel free to leave a link to YOUR blog too! I feel like there was a bit of a theme in this week's reading. I started listening to an audiobook recording of short Sherlock Holmes stories (part of the free downloads from this past summer). My mind started swirling with possibilities. I'm always looking for just the right challenge for my advanced 5th grade readers, and this year I have a handful who are REALLY strong and chomping at the bit. The first few stories I heard were mild enough in themes and content that I could use them in class. As public domain stories, I can even take the whole text of the story and plop it into a google doc to work on annotating. I'm pretty excited to see if this will work for my kids. 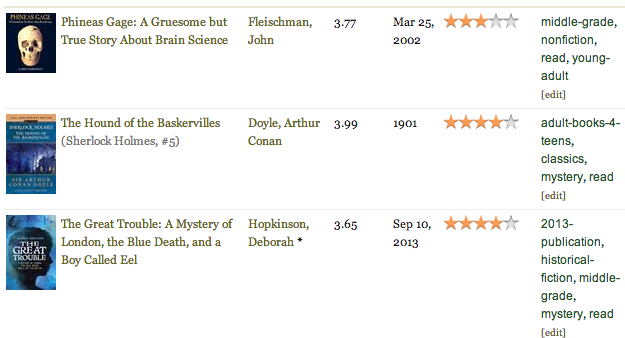 Then I found a copy of Baskervilles, and jumped at the chance to read a little more Holmes. Amazingly, there is a class set of these in my building. I guess at some point in the past, Baskervilles was a required read for 5th grade. It's odd to think how much has changed since then. 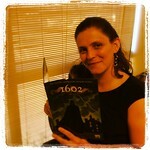 I think my really strong 5th graders would enjoy the tale, but I can NOT imagine making most 5th graders read it! I'd already started reading The Great Trouble, thanks to so many recommendations from my twitter pals. It's definitely making the cut to use with students when I hit my historical fiction theme, but I'll probably use it with younger grades. I had one last excursion into the late 1800s with Phineas Gage. I found the content intriguing (my strong, science curious older kids would love it) but the writing a bit flat. Some parts were more interesting than others - it was almost like multiple people wrote the text. Still, it was a great read. 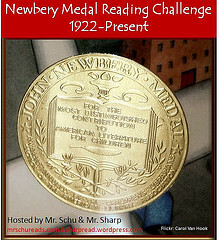 This week I need to grab a copy of The Real Boy to reread for my stop on the blog tour. I read it once, but didn't take notes, and now my Overdrive app keeps crashing whenever I try to pull it up. Ah well... getting it tomorrow should still give me plenty of time. Tuesday I sliced about using The Story of Fish and Snail and The Dot as part of goal setting in my gifted groups.